Add a practical finish to your event tables and offer guests a useful favor with our premium coasters / bottle openers. 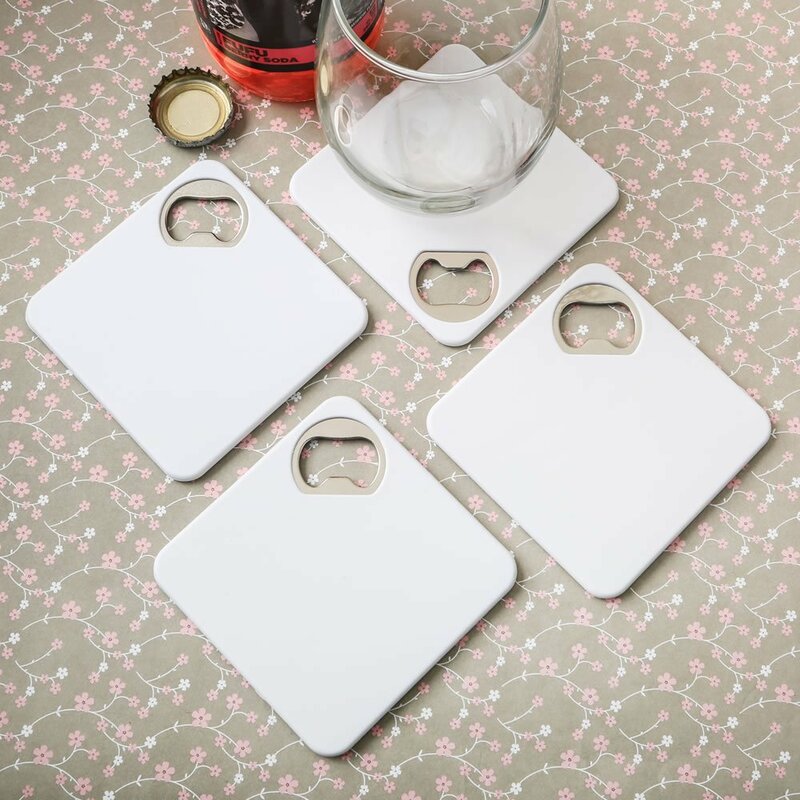 These innovative coasters offer a safe place to put your drink, will protect your tables from damaging wet marks, and will also open up bottles! A super fun and useful favor for any event. The coasters are made from solid white plastic. Inset into one corner of the coaster is a sturdy metal bottle opener. The black felt bottom makes for a non slide surface. Coasters make great favors for any event and guests will be thrilled to use them at home after your occasion is over. 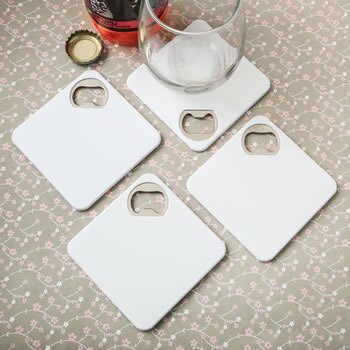 Is it possible to order blank coaster opener? Do you offer free shipping for bulk order? The Perfectly Plain Bottle Opener Coaster are Plain, no personalization on this item. We do ship bulk but we do not offer Free Shipping at this time.